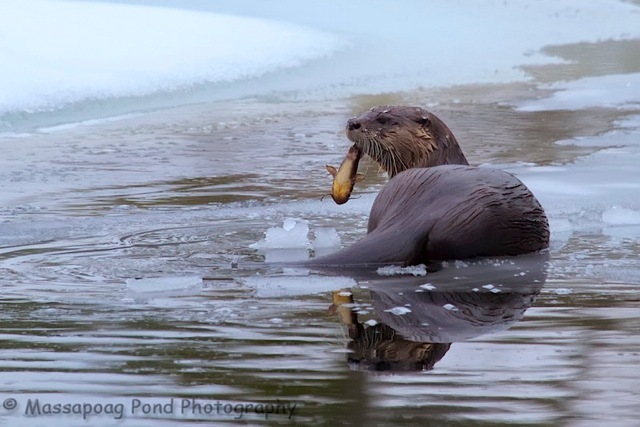 Evening folks…spent the afternoon over at my otter location and was able to photograph this one gobbling down a catfish. It was amazing to watch, within 2 seconds of going underwater it came back up with this fish! There was also a beaver out on the ice for a bit, and a Belted Kingfisher…guess it likes ice fishing! It did manage to catch a fish in what little open water there is….